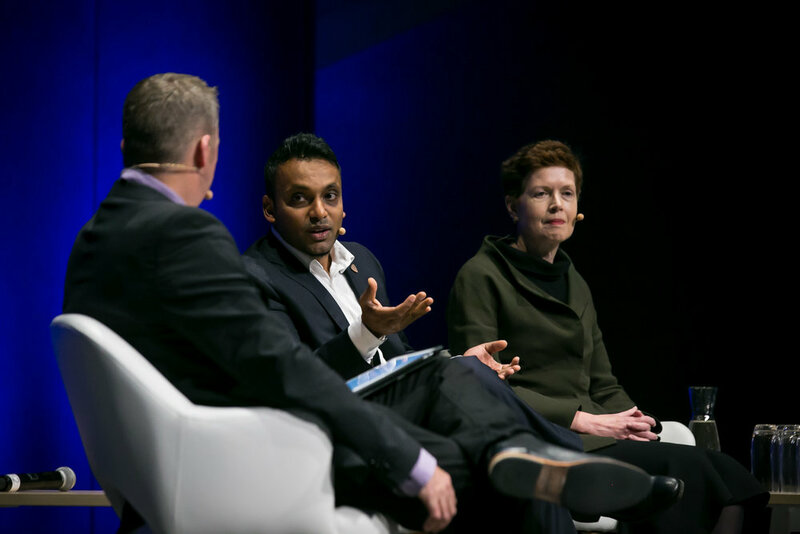 More than 500 delegates attended the first Future Work Summit held at the Melbourne Convention and Exhibition Centre in the Victorian Capital. Featuring contributions from Google, Microsoft, MYOB, the Federal and Victorian Governments among others, the summit was the brainchild of from ANZ executive Steve Spangher. Following an address by Sally-Ann Williams, Engineering Community and Outreach Program Manager at Google, who highlighted the need for industry collaboration in education, the summit saw another kind of collaboration when the Hon Ed Husic and the Hon Craig Laundy put political divides aside to address the issues facing Australia as they look to the future of work. In a discussion which was at times serious and at other times almost chummy, both Husic and Laundy agreed that the current and previous Governments have been lacking in tangible action towards enabling future work. Both agreed that digitising small business was critical if businesses are to survive in a digital economy, however they offered slightly different paths to achieving this. 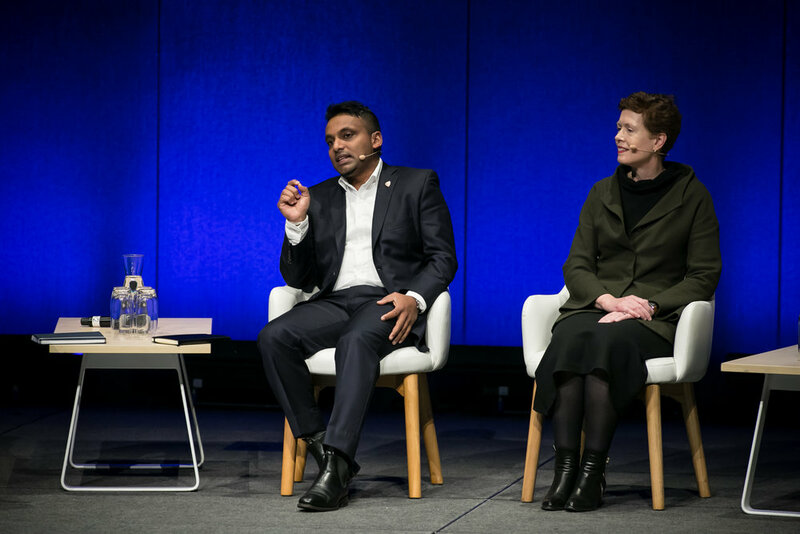 The first panel session of the day featured ACS President Yohan Ramasundara along with George Stavrakis of Microsoft, Amanda Caples from the Victorian Government and Sarah Moran, CEO of Girl Geek Academy. Opening with an appeal to the HR managers in the audience, Ramasundara highlighted the impact that artificial intelligence will have on the management of people in the future workplace. When combined with the necessary security requirements about employee data, there are challenges that will need urgent attention – challenges of which organisations are not necessarily aware. These challenges, Ramasundara argued, can only be solved by a focus on talent, culture and leadership. The combination of these factors is a necessary part of any organisation’s focus as their workforce transitions. “I haven’t seen a model organisation yet which excels in all these areas. Every organisation – be they Government or start-up – has some way to go before they are using all of these factors in the right way. There are many good news stories, but not one complete picture yet,” Ramasundara said. Speaking of his experience in Silicon Valley, Ramasundara also highlighted the importance of culture.  The next Future Work Summit will be held in Sydney on October 30, 2018. ACS is proud to be a sponsor of the Summit and holds a seat on the advisory board. Copy the following script and paste it into the ‘Footer’ area.